This home on Harvard Avenue, between 15 and 16 Mile Roads, caught fire Tuesday. Post photo by J. Reed. 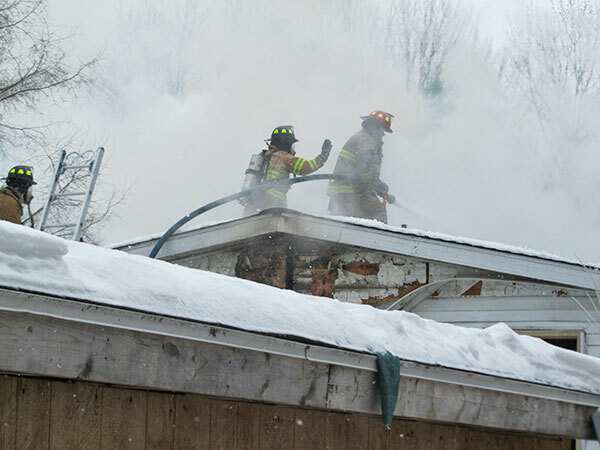 The Oakfield Fire Department and four other departments battled both the elements and a structure fire Tuesday morning in the 13000 block of Harvard Avenue NE. 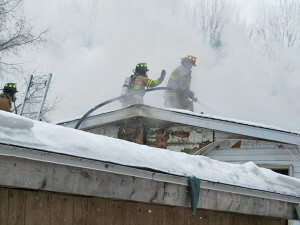 Firefighters were dispatched to the scene shortly after 10 a.m. Flames were coming through the roof. 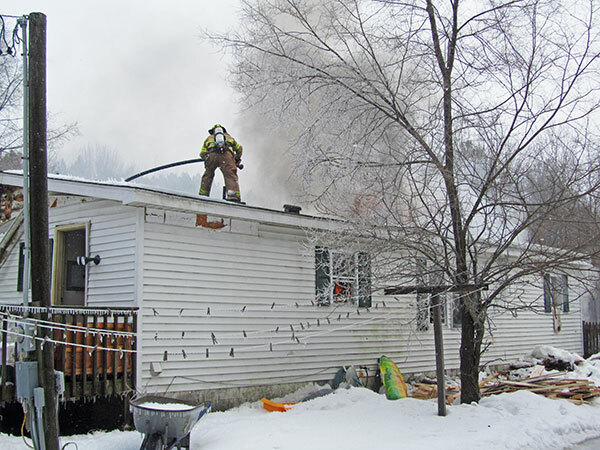 According to Oakfield Fire Chief Sam Peterson, the wind and cold were problems, but an even bigger problem was that the fire had gotten into the attic, and that area was restrictive. Peterson said the fire started in the bathroom, possibly from some wiring issues. He said a fire investigator would be investigating the scene. They cleared the scene at about 2:30 p.m.
A mom was home with children at the time of the fire, but the family had gotten out safely, as did their cat. No one was injured at the scene. Oakfield was assisted by Courtland, Spencer, Grattan, and Montcalm Fire Departments.